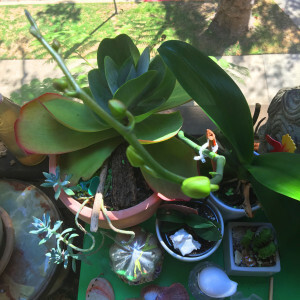 The Beverly Hills Mom » Thanks to the wonderful climate here in Southern California, I actually can say I’m not a plant murderer. Was so thrilled to see the buds pop up from the orchid @BarrieinLA gave me a couple of Christmases ago. This entry was posted on Tuesday, September 13th, 2016 at 7:27 pm and is filed under . You can follow any responses to this entry through the RSS 2.0 feed. You can leave a response, or trackback from your own site. Thanks to the wonderful climate here in Southern California, I actually can say I’m not a plant murderer. Was so thrilled to see the buds pop up from the orchid @BarrieinLA gave me a couple of Christmases ago.